Tunis is in north-eastern Tunisia, on Lake Tunis. It is the capital of Tunisia and as well as being the Arab world’s best kept “old” town it is also a modern and expanding city. From the 12th to the 16th centuries Tunis was one of the greatest and wealthiest cities of the Islamic world and consequently it has some grand architecture. 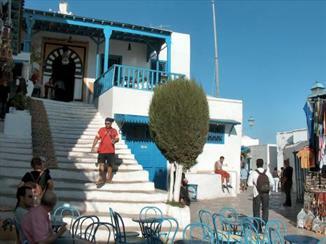 Visitors are drawn to Tunis to enjoy a taste of Arab-European culture. Although it is on the continent of North Africa and within sight of Europe, Tunisia has its own peculiar mix of cultures which is what makes it so attractive. Clean, safe and free of beggars, local Tunisians wear modern western-style clothing although most woman wear a scarf or hijab when out in public.The city offers a host of interesting attractions including the zoo, the Great Temple and the Bardo Museum (details below) which has a stunning collection of mosaics dating back to Roman times. Those looking for a more authentic Tunisian culture will find it in the traditional souks/suuqs of Tunis which are the Arabic markets. Traditionally in the 7th century the souk only occupied a small part of the old town or ‘Medina’. In modern-day Tunis there are so many markets spread out over Tunis that it’s hard to define the actual shopping area and the locals now refer to the whole souk as the Medina. The maze of narrow passageways are hung with all manner of clothing and household essentials as well as fresh fruit and spices. Enjoy the distinctly Arabian sights and sounds of this ancient traditional market as you browse the offerings. Haggle over a souvenir or bargain for some fresh fruit – it is all part of experiencing the “real” Tunis. However, the prices here are often inflated for tourists and many naïve visitors pay far more than the items are worth. If you see something you want, start with a very low figure and stick close to it. Once you start to walk away you may well get the object at the price you suggested (be aware of chinese imitations).Also, keep your money securely on your person to avoid being an easy target for pick-pockets in the crowds. Proper stores and museum gift shops are generally the best place to find quality goods and souvenirs in Tunis. At first glance, the arrangement of the stalls around the souks may appear chaotic but it is actually highly organised into areas. As in most Arab cities, the souks are arranged in an orderly fashion with the “clean” shops such as those selling perfume and clothing located near the Zitouna or the main mosque, and other dirtier or more smelly businesses which involve dyeing and metal works are located around the outside. Separate alleys separate the goldsmiths from the common metalworkers and the garment stalls from the handicrafts. The souks usually have a special area for tourists to buy souvenirs. In the Tunis souk, it’s easy to find this area if you head towards the Bab el Bahr gate which leads to the new town, and then take the left entrance into the souk. When you have had your fill of carpets and pottery, seek out a nice café (such as M’Rabet – details below) and enjoy a strong coffee or try a refreshing mint tea. The noisy and babble may be unfamiliar, but relax and enjoy this unique social experience. Don’t be afraid to tell hassling vendors “no merci” firmly, but if you are prepared to strike up a conversation with locals you will find them both friendly and interesting in most cases. When visiting the Medina, there are some souks you must take time to visit. The Souk de la Laine, for example, is the souk of the weavers. Although it boasts only a fraction of its former glory, you can still witness the handloom weaving process in all its glory. Handloom products are expensive, and are mostly bought by affluent locals or people purchasing for special occasions. Another souk you don’t want to miss is the Souk des Chechias, which specializes in the making of woollen caps (chechias). Chechia-making is an old craft, and was imported to Tunis by Muslim refugees from Andalusia. This souk is just off the Souk el Bey, and is very easy to locate. Of course, every Arab city has its gold souk. Tunis’s Souk des Orfevres is located quite close to the main mosque. High carat gold is sold here (the locals don’t think too much of European quality 9 and 14 carat gold). Although the designs are not internationally renowned, if you bargain right, you are sure to get yourself a good deal. A visit to Tunis is not complete without a trip to the Bardo Museum. 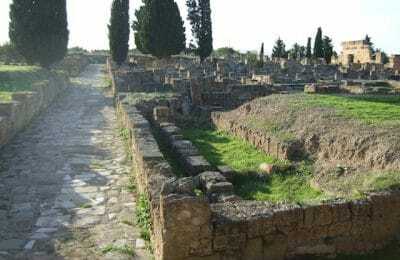 The building was once the palace of Husaynid Beys, a Tunisian Governor. Most visitors leave disappointed if they don’t allow enough time to look around, so allow plenty of time to enjoy your trip to the museum and don’t schedule anything else for the day. The palace and its interiors are breathtaking and the collections on display are impressive. Spread over three floors, with displays ranging from statues, mosaics and frescos to examples of the inhabitants’ ostentatious lifestyle, this eighteenth century palace is a real treat for the eyes. The collection of Roman mosaics (supposedly the world’s best) is the highlight of the museum tour, and you will be amazed to see entire walls and floors covered in mosaic, such as the one displayed in the accompanying photograph. The museum also displays belongings of the royal inhabitants, including a bed for royalty seen here. You will also find statues from the Punic times, discovered in Carthage, Dougga, El Jem, Sousse, near Mahdia and Thubrubo Majus. The second floor has two fresco rooms of exhibits.The museum is located just opposite the Bardo Metro Station. Its beautiful gardens are immediately visible from the station, and a 5-minute walk will take you to the entrance. The Zitouna Mosque is Tunis’s main mosque, and dates back to when Tunis became an Islamic city in the 9th century. Most of the city of Tunis was built up around the Zitouna, which means “olive tree”. The mosque is named after its founder who is known to have taught the Koran to students beneath an olive tree on this spot. The Zitouna was built 100 years ago by the Emir Aghlabide Abou Il Abbés Mohamed but the minaret was not added until the 19th century. Long before formal universities were established in Europe and North Africa, the mosque played an important role in town life as not only a house of worship, but also as an educational centre. It continued to play this part in the educational system until the 1950s. Each teacher would sit next to his own column, surrounded by his students and this symbolized the close bond teachers had with their students. The Zitouna is open for non-Muslim visitors from 8 a.m. to noon every day except on Fridays and Islamic holidays, for a small fee. However, your visit will disappointingly be restricted to a viewing gallery at the entrance. Here’s a tip! Locals will often allow you up onto their rooftops for a small fee and you can look down into the inner mosque and see a great deal more of the interior. One of the most authentic cafés to visit within the medina is the Café M’Rabet. During the day it offers a welcome rest from the heat. Sip a cup or glass of mint tea and you will soon feel refreshed. The café is open from 2 pm to 10 pm every day.The café is also worth visiting in the evening, not just for the food and drink, but also because it offers visitors all the cultural detail of a Turkish night-out. The interior of the café is ethnic Turkish, and it is widely known that it has not changed in almost a century! When you enter you will be expected to take off your shoes, as the cafe is built over the tombs of three holy men!Once you have made yourself comfortable on the wide cushioned platform, you can begin to experience Arabic nightlife at its best, complete with belly dancing, live music, Turkish coffee and hookahs. 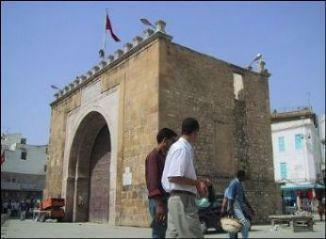 The Bab el Bahr is one of the old gates of the city into the Medina, and is located on the Avenue de France, near the Place de l’Indépendance. The name means “Gate to the Sea” and in the past this gate opened out into a huge area, with the Lake of Tunis beyond. When the French arrived in the 19th century, they renamed the gate the Porte de France, as it opened out into the newly developed Ville Nouvelle – the European part of town which they inhabited.Although the old walls have long since fallen down, the main gate still stands as it has since 1848, when it was built. To the left of the gate is the Rue Charles de Gaulle, where visitors will find the main Post Office of Tunis. The area around the Government buildings, known as the Place du Gouvernement, is spotlessly clean and very well maintained. This large square is a sharp contrast to the narrow streets surrounding it. Government Square is within easy reach from the Zitouna Mosque and a short walk beyond the Rue de Kasbah.The Prime Minister’s Office is housed in the Dar el Bey, on one side of the square and was once a royal guesthouse. During the day this prestigious area is buzzing with crowds but it’s deserted during the evening. Look out for the government officials going about their business, dressed in traditional Tunisian attire. Obviously the square is heavily guarded, but the guards usually allow tourists to take photographs of the beautiful buildings in this area. You will also see two very old and historic minarets: one belongs to the Youssef Dey Mosque, built in 1616, and the second one is attached to the Kasbah mosque, built in 1235. The popular middle-class Hafaouine district in Tunis is where you will find a popular food market. It is open daily between 8 am and 1 pm and sells a huge variety of spices, Mediterranean and Arabic foods. It is also a great place to buy some traditional Tunisian cookware, at a good price. The Place Halfaouine was once a fashionable place to live in the 18th century but it’s now a run-down part of the city housing a grocery market. Even before the arrival of the French, most of the buildings had European-style architecture. Check out the Mosque of Youssef Sahib at Taba’a, built in 1812. The builders used imported Italian building materials including marble columns and wrought iron railings to create a finished building which looks more like a stylish palazzo than a typical mosque, especially as the minaret was not added until 1970. Like the Bab el Bahr, the Bab el Khadra is another surviving gate into the Medina and the European architectural style is quite unique to this part of Northern Africa, resembling the entrance to a European castle. The original 14th century gate was rebuilt in 1881. One of the identifying features of Tunis is the ornate gates and the brightly painted wooden window shutters and doors in bright blue, orange and green that adorn the houses in Tunis. Visitors are often surprised to see that, in a surprising contrast, the interiors of these houses are simple and bare. These decorative doors and windows are an outward measure of the family’s wealth and local importance. As you leave the old city and enter the Ville Nouevelle (New Town), you will be transported into an old-world French era. Here, the houses, shops buildings still bears the architectural stamp and influence of the French, perhaps even more so than any city in France itself. From the names of streets to the cafés and pastry shops, it still seems that this part of Tunis is living in French Colonial times. The Cathedral in Tunis is situated on Place de l’Indépendence and is named after Vincent De Paul, a Catholic saint who came as a slave to Tunis and helped other Christian slaves after earning his freedom. The Cathedral was built in 1882, and is one of the largest remnants of the Colonial era. The architecture of the Cathedral is often described as being grotesque, and it does seem quite out of place. However, the Cathedral was built by the French living in a predominantly Islamic country, and the architectural style reflects this odd situation. Within the Cathedral is the Tomb of the Unknown Soldier and the National Archaeological Museum that includes a fine collection of Roman artwork. The more modern part of Tunis which sprang up in the last century is quite ordinary. The buildings and houses seem to have been built hastily, without style or quality, and with seemingly identical designs. The Africa Hotel (often referred to as the ugliest hotel in North Africa) is also situated in this part of Tunis.Other prominent structures include the Du Lac (built in the shape of an inverted pyramid) and the International Hotel. Fortunately, newer buildings in this part of town are now being built using aesthetic, creative designs in an attempt to complement the buildings of yesteryear. Location and Getting ThereTunis is in northeastern Tunisia by Lake Tunis. It is:63 km north of Hammamet71 km south of Bizerte142 km north of Sousse154 km north of Kairouan175 km east of Tabarka269 km north of Gabes353 km north of Gafsa446 km north of Tozeur. It is connected with all these major cities by an excellent network of tarmac roads making it easy to drive to. Local buses run regularly between the cities and shorter journeys can be done by shared taxis called louages. The best way to get from the airport to Tunis town centre (a distance of about 8 km), is by taxi. http://www.hotelscombined.com/City/Tunis.htmYou will find a good choice of hotels in Tunis with something for every budget. The medina and the town centre hotels cater for shoestring budgets, though they do not give you good value for money. I would recommend checking into a starred hotel, but the Africa Hotel and the International Hotel are highly priced. A good compromise is the Renaissance Spa Resort in Tunis and the Abou Nawas. Although quite expensive, the Renaissance in La Marsa is quite luxurious and has great spa treatments.If you want to save on accommodation in Tunis, opt for a mid range hotel. They are comfortable and even though accommodation in Tunis is more expensive than in other parts of the country, you will be able to get a good deal. Remember, if you check in early in the day you will end up getting a better rate than those who arrive later. 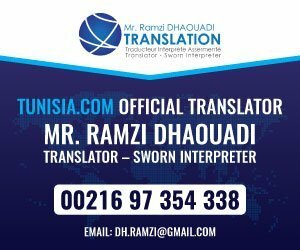 There are some well-known international chain hotels in Tunis such as the Radisson and the Sheraton which are relatively safe options, as you already know what to expect. Tunis has a fine selection of restaurant choices which offer excellent cheap and hearty meals. From roadside stalls to chic French restaurants, getting yourself a good meal in Tunis will never be a problem! However, having the names of some recommended restaurants to head for can narrow down the bewildering choice.If you are in the Medina and are looking for a place to eat lunch, head to Dar El Jeld which is one of the most famous restaurants in Tunisia. It is very close to the Zitouna Mosque, the prices are low and the food is delicious. For more low-cost appetising meals, try the Noir & Blanc and Abid, both located on Rue de Yougoslavie. A huge tray of nibbles (usually olives, bread and harissa) is yours to enjoy as you wait for the main course to arrive.For some more expensive options, still cheap by European standards, try the Chez Nous, Chez Achor, SFAX or Carthage. Carthage is located quite close to Avenue Bourguiba, and close to the Restaurant Capitole, which is sure to surprise you with its oversized portions and cheap prices. Locals eat here, so you can be sure the food is authentic Tunisian fare. Carcassonne is another well-recommended restaurant to try. However, dare to be adventurous and try somewhere new – chances are, wherever you eat in Tunis, you won’t be disappointed. As the sun goes down on Tunis, the city becomes relatively quiet. As in most Arabic cultures, families come out of their houses and sit on their doorsteps or porches as their way of unwinding at the end of a busy day. As night sets in, the city is quite peaceful, and the hustle and bustle of the day seems to fade slowly into the background.Tunis does not have a great deal of lively nightlife, apart from during festivals. The best bet for visitors is to visit the modern hotels in the city such as the El Hana International Hotel which has a rooftop bar with breathtaking views of the city. Some restaurants have live music and belly dancing while you enjoy a meal. However tourists should be cautious on their nights out. Since most nightclubs and bars have mostly male patrons, female tourists, if travelling alone, are best advised to stick to the bars in posh hotels but they can be staid and boring. Discos are mostly attended by men with a few women accompanied by brothers or husbands and they can seem a bit seedy. The best hip nightspots are in the northern suburbs such as gammarth and la marsa.During Ramadan the nightlife in the city perks up. Restaurants are quickly filled up and are open well into the small hours of the morning. However, alcohol is not served during this holy festival so tourists will have to settle for a good night out on mint tea or hookah! Tunis has a Mediterranean climate with a hot dry season moderated by the proximity to the sea and reaching 32C (90F) on average in July and August. In winter it rains every 2-3 days with average daytime highs of 15C (60F). Frost is rare and Tunis boasts 10 hours of sunshine per day on average.CurrencyYou will have no problems changing your money in Tunis, and you can do so at several places around the city. Various ATM’s, banks and money exchange points can be found in prominent tourist locations. If you are wary of going to a local money exchange shop, change your money at your hotel desk. Most shops, hotels and restaurants usually accept major credit cards but cash is necessary in small cafés and in the souks. Tunis has various means of transport around the city including the Metro, trains, buses, shared taxis and hired cars. Tunis Airport has regular international flights to most destinations, and also to other cities in Tunisia. To travel between Tunisian cities, you can opt for a hired car, take a bus, go by the Tunisian railway, or fly. The shared taxi system is quite organized here, and these taxis usually run fixed routes, somewhat like private buses. The best way to get from the airport to Tunis town centre (a distance of about 8 km), is by taxi. If you are staying in Tunis for a while, use trains and trams for your suburban tours. Within the city you can also try the Metro, which is not an underground train, but a tramway system. However, make sure you keep an eye open for your destination, as the stations are not well marked. Renting a car is a good choice in other parts of Tunisia, but definitely not in Tunis. If you have to hire a car, go to a good car rental company, and make sure you check your car thoroughly before driving off.When exploring the city centre and the Medina, the best option is to simply walk! The more walking you do the more sights and sounds you take in, and the more pleasure you get from your visit to the enigmatic city of Tunis!